Farm Fresh Kids Cup. 4 oz. enamel-on-steel cup. Perfect sized kids cup for beginners. Dishwasher safe. Plastic free. 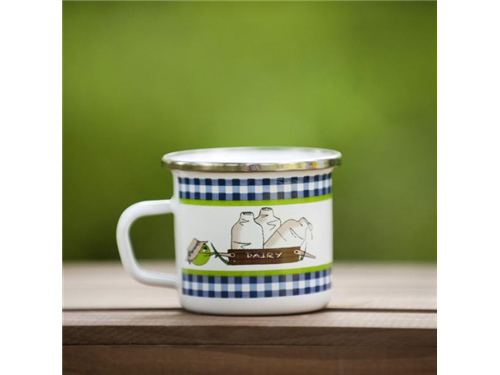 BPA, melamine and phthalate-free. Open stock, UPC-coded.